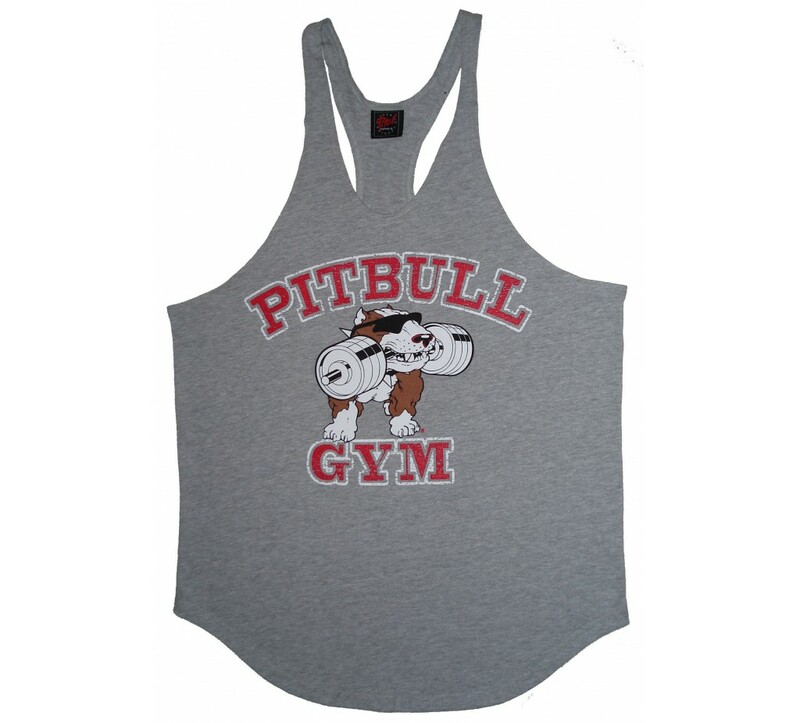 Pitbull Gym clothing string tank top in the new Stone logo. 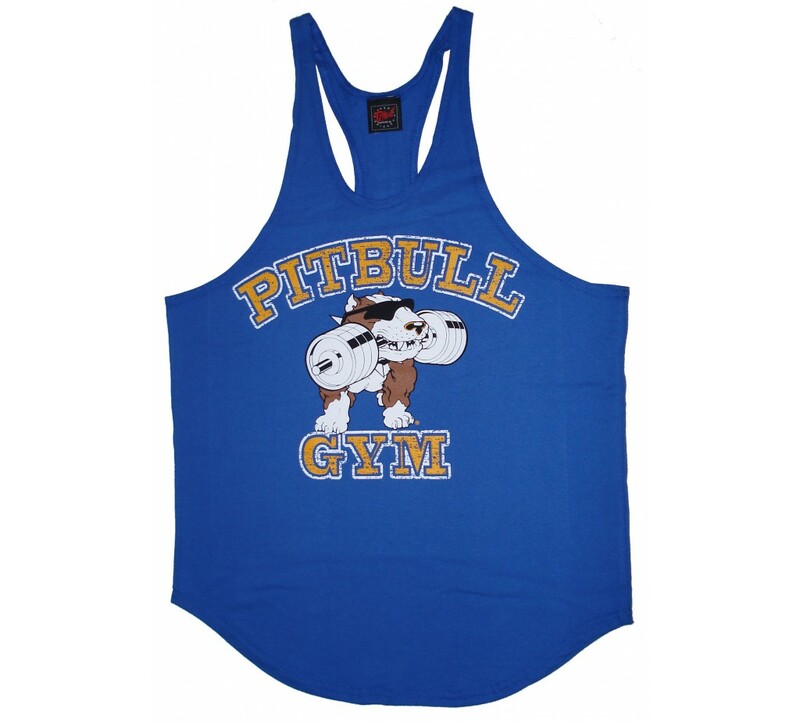 Screen-printed on their standard string tanktop blank. 100% cotton, tailored scoop bottom and open shoulder. 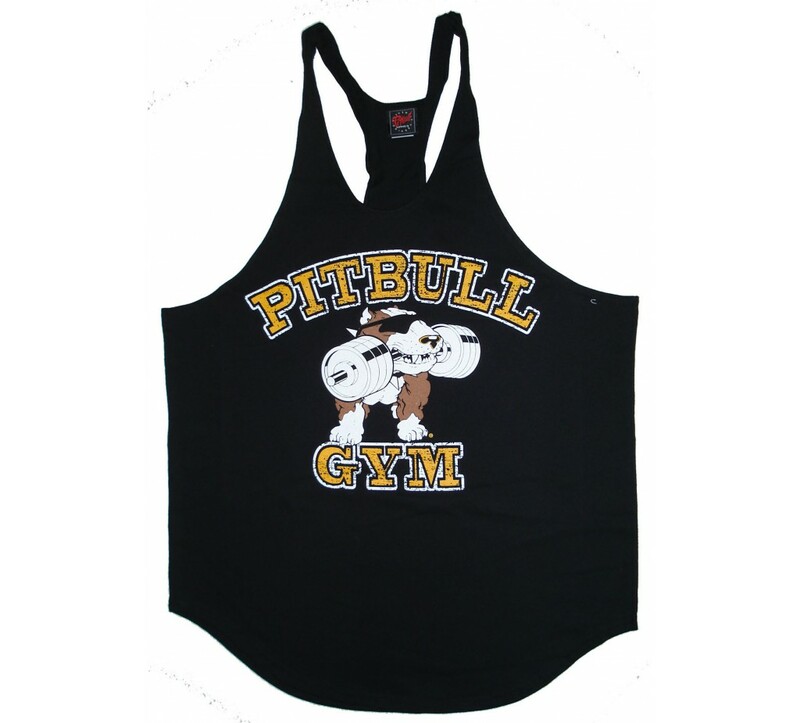 Mens string tank tops and all Pitbull gym clothing ship the same business day.